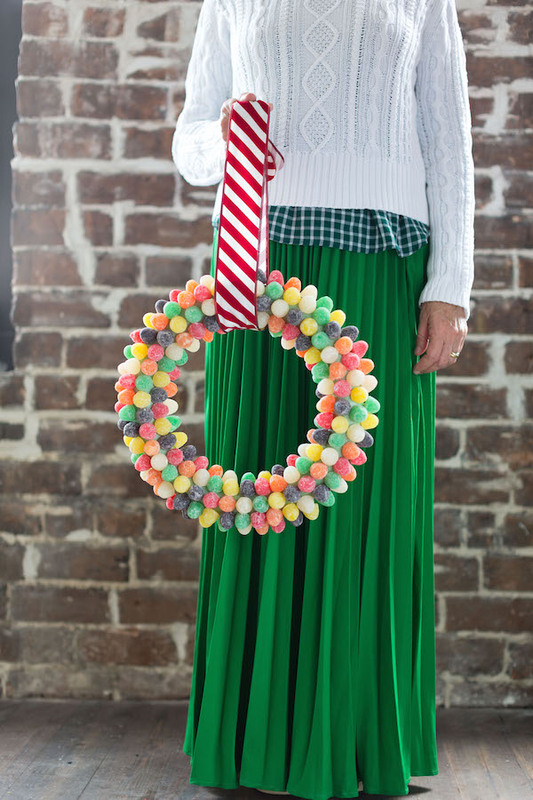 I love a wreath…but not just any wreath. Here are a few of my favorites this holiday season! Step 1. 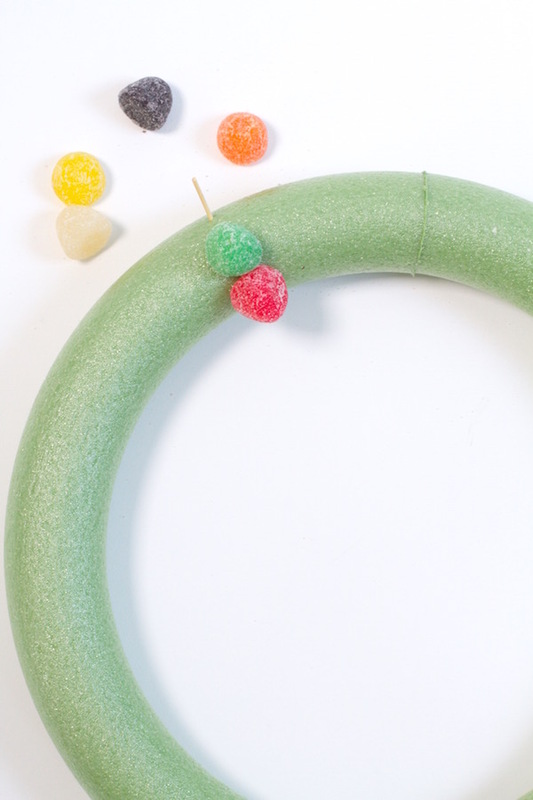 Use toothpicks to affix colored gum drops in a fun pattern onto a styrofoam wreath form. Step 2. Hang with a fun ribbon. 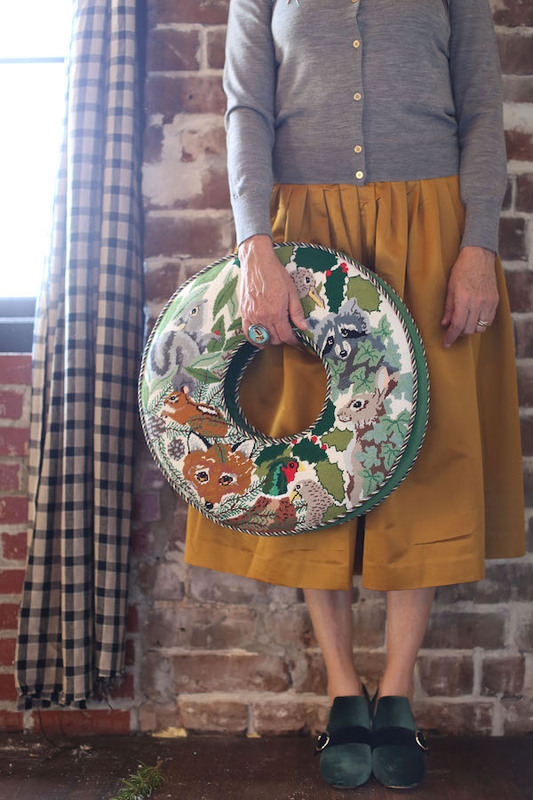 My dearest friend in the world, Sydney Kiefner, needlepointed this gorgeous wreath. I’m in awe of many many talents she has, but her needlepoint game is tops! I wish you could see the back it’s a beautiful green velvet…much like my shoes. I love you Sydney. Step 1. Have a friend who needlepoints make you a wreath. Step 2. 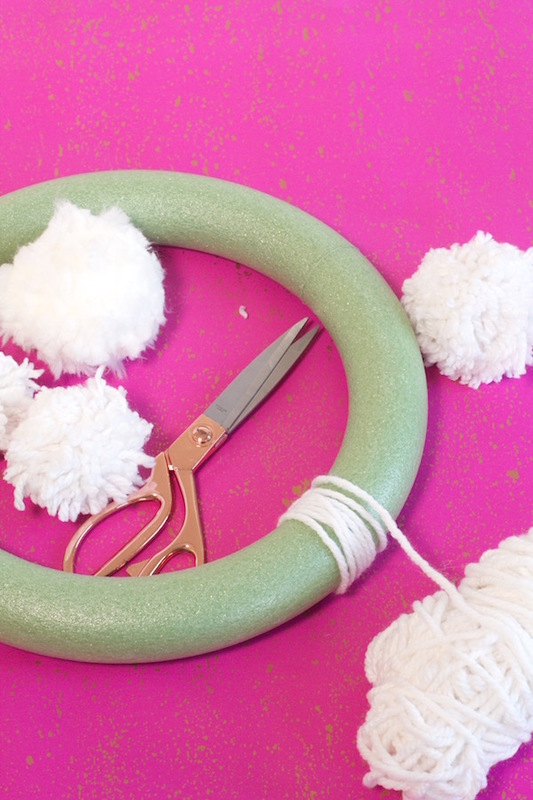 Make pom poms (learn how to make a pom pom HERE) and affix to the wreath form with hot glue. Step 3. 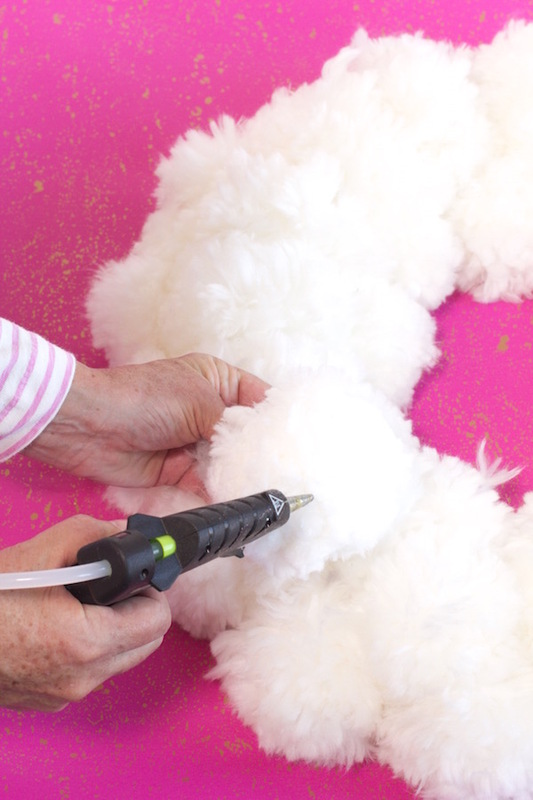 Glue on different colored pom poms! Great ideas! Love the pom poms, especially! 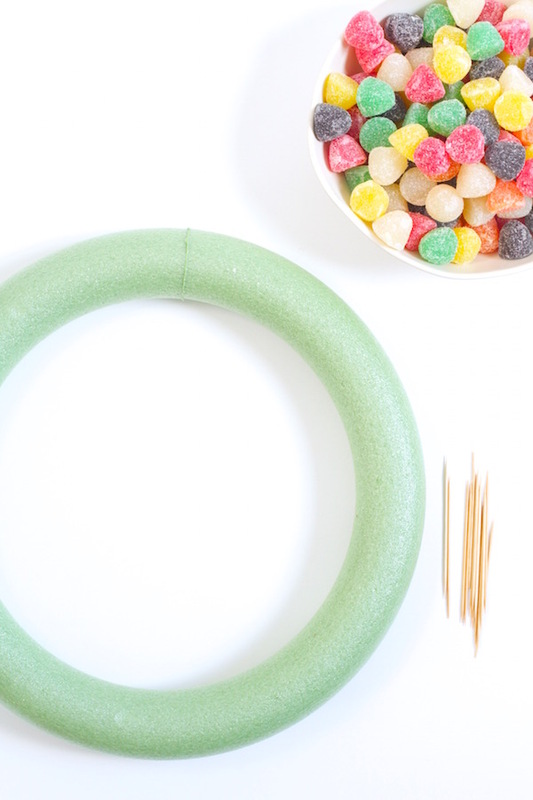 What kind of yarn do you use for your pom poms? Thanks and Happy Holidays!